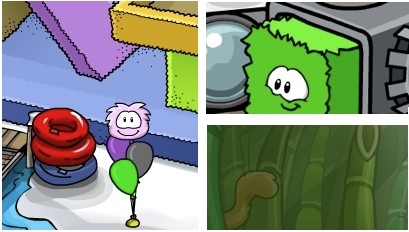 The one on the left seems to be the Puffle Party. The one in the lower right corner seems to be the new play. I think the one in the upper right corner has to do with the new mission. What do you think? They are ok but its cuz u havent got enough cuz u havent got 54,4 words from the left line lol thts what my questins now just to let u now.